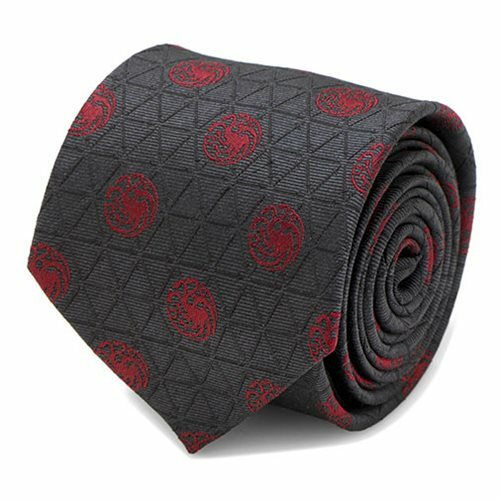 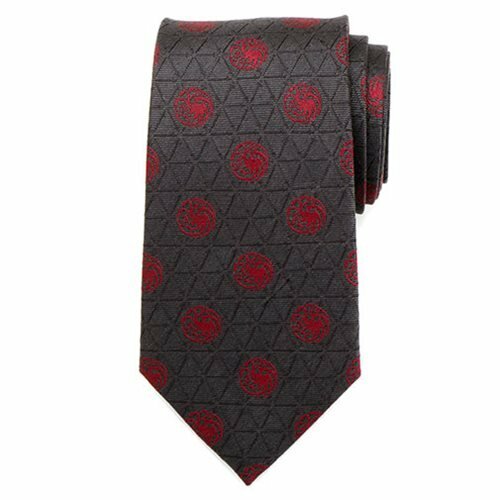 There's nothing mad about this smoldering black House Targaryen tie featuring the red three-headed dragon sigils over a geometric pattern of swords. 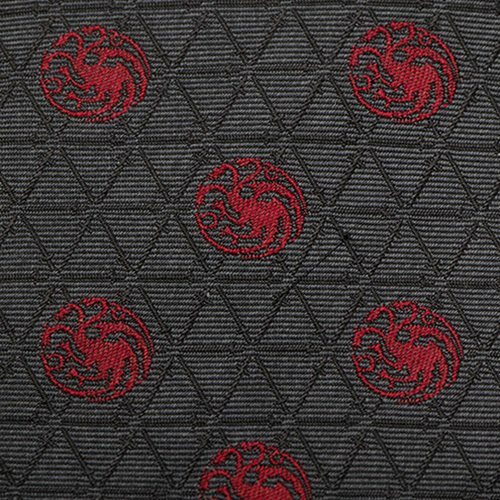 Made of woven silk, this tie proves you're a force to be reckoned with like the great dragons of old. 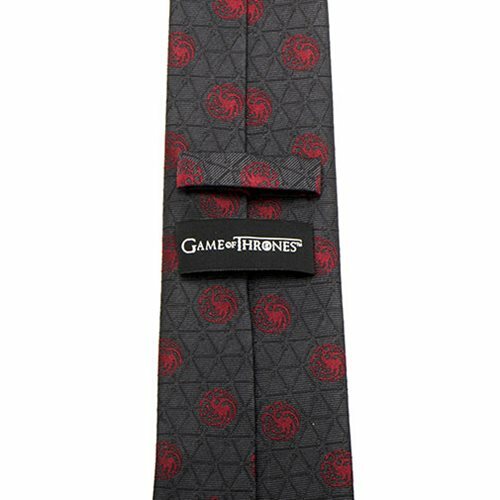 The Game of Thrones Targaryen Geometric Sword Gray Men's Tie is a must have for fans of the hit HBO series. 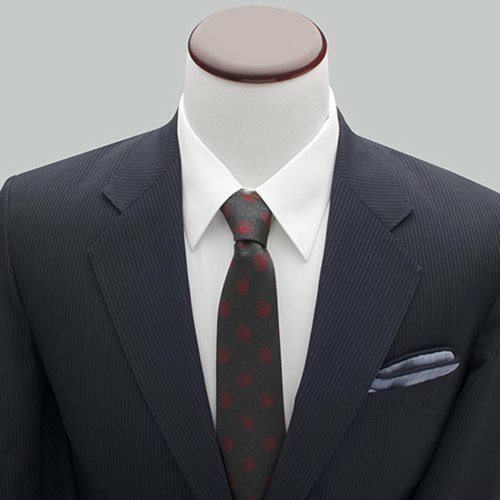 Measures about 59-inches tall x 3-inches wide.